On January 31, The New York Times, America’s paper of record, made front page news. Several months after it published several articles delineating the financial holdings of the families of Chinese leaders, the Times reported that the Chinese military had hacked into its computers, inserted malware and stolen its employees’ e-mail account passwords. Soon thereafter, The Wall Street Journal, Washington Post, Bloomberg, Voice of America and other media outlets publicly claimed their computers were also allegedly hacked by Chinese citizens. Many Americans were outraged and expressed concerns about the importance of cyber-security for the fourth estate, which must protect the privacy of sources, ensure freedom of the press, and play such an important role in American democracy. But the incidents also raised questions of governance. How should the US respond to such cyber-attacks when it too is attacking? Congressman Mike Rodgers, Chair of the House Intelligence Committee, called for retaliation. However, retaliation is unlikely to build greater support for shared international cyber norms. 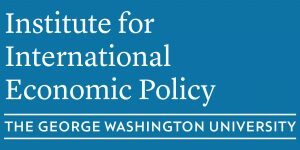 The event, organized by the Trade and Internet Governance Project of GWU, and the Minerva Initiative of the Department of Defense, examined the hacking from several different perspectives: cyber-security, economics, trade, human rights, and global governance.